Kairo Thuo is a partner at Viva Africa Consulting. Through his many years of practice, Kairo has developed extensive experience in all areas of taxation in Kenya, Uganda, Rwanda and Tanzania and has also been involved in tax matters involving other countries in Africa. His experience involved all areas of taxation and was also involved in establishment of specialized tax service lines in direct and indirect taxation including customs, international tax and transfer pricing. He has conducted numerous tax training seminars in Kenya and Tanzania and specific tax workshops for various clients in Kenya. He has also assisted numerous clients in resolving various disputes with the revenue authority and other regulatory authorities in Kenya, Rwanda and Tanzania as well as lobbied for specific tax and legal positions in Kenya. Amongst many of his key achievements Kairo remains the only individual to-date to be recognized by the Kenya Revenue Authority in the annual taxpayers’ awards for contribution towards tax education in Kenya having also been recognized by the IFC for outstanding tax advice contribution in the Kenya and Uganda Railways concession process. He also contributed to capacity enhancement for the East Africa Law Society and the Institute of Certified Public Secretaries of Kenya. 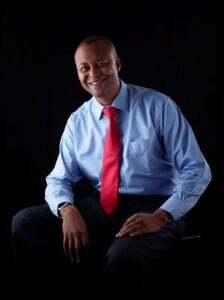 Kairo has been a regular contributor to the Business Daily and previously the East African Standard.